HCCI is the representative organisation for companies that provide a managed home care service in Ireland. HCCI unites members who directly care for thousands of older and vulnerable people in their homes. HCCI members provide a fully managed care service through directly employed and trained care staff, which guarantees an exceptional standard of care to every client. We have over 75 members who directly employ 14,000 carers and care for over 21,000 clients. HCCI advocates for, and seeks to represent, a unified professional home care service through leadership, experience and good governance. HCCI was formed in 2012 to represent private home care providers in Ireland who strive for excellence in client service, business operations and governance. HCCI is now open to any provider that has a managed home care service that meets our standards. All HCCI members adhere to our constitution, code of conduct and standards. These standards are based on international best practice and are in addition to any HSE requirements a member is subject to. HCCI members are regularly audited by an independent inspector to ensure compliance. HCCI members provide high quality care in the community. 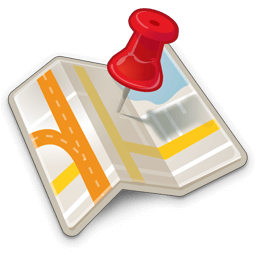 To find a HCCI accredited care provider in your area, please refer to our interactive map. This map contains details of all our providers and includes their contact details. HCCI provides a central hub of information and support to member companies which includes access to information, peer to peer support, advocacy and approved partners. HCCI also provides information to members of the public looking for more information about how to find home care services. Find a local care provider in your area with our helpful interactive map.